يقع فندق Mount Richmond Hotel، المصمم ليناسب كل الضيوف سواء كانوا من رجال الأعمال أو السياح، في مكان ممتاز في أحد أكثر المناطق تفضيلاً في مونت ويلنجتون. إن موقعه الجيد الذي يبعد 10 km فقط عن مركز المدينة يساعد النزلاء على الاستمتاع بمعالم المدينة ونشاطاتها. يوفر الفندق بفضل موقعة الجيد وصولاً سهلاً إلى أهم معالم المدينة.
. استمتع بالخدمات الراقية والضيافة التي لا مثيل لها بهذا الفندق في أوكلاند. يمكن الاستمتاع بمجموعة من الخدمات على أعلى المستويات في الفندق كمثل واي فاي مجاني في جميع الغرف, كازينو, واي فاي في المناطق العامة, صف السيارات, خدمة الغرف. يمكن للنزلاء الاختيار من ضمن مجموعة من الغرف المصممة بعناية لتعكس جواً من الراحة، والتي يتجاوز عددها 45. يقدم الفندق خدمات رائعة كمثل مركز للياقة البدنية, حمام سباحة خارجي, سبا, ملعب تنس, حديقة لمساعدتك على الاسترخاء بعد نهار طويل من النشاط والتجوال في المدينة. إن كنت تتطلع إلى إقامة مريحة وهادئة في أوكلاند، فستجد في Mount Richmond Hotel بيتك الثاني. We arrived late that day but staff were really friendly and helpful. The location is great - close to motorway but was able to have a good night sleep. Will recommend to others if they're after a clean good hotel to stay. Stayed in April 2018. The manager was great, helpful and informative. The pool area was pleasant. The restaurant may seem a little odd at first but the food was excellent some of the best of my trip and for NZ a terrific value. As mentioned by other reviewers sound from room to room is noticeable in this older but well maintained property. I would stay here again. The restaurant on site was very good value for money too especially the dinner vouchers, huge and yummy meals! The only downside is the walls are quite thin and you can hear people talking in other rooms and walking above you etc. Staff were friendly and helpful. Rooms are comfortable. We had a problem with our room but the Staff and the Manager were very quick to respond. We would definitely look at staying again. Overall was good, staff very friendly, staff is informative, staff is helpful. Very comfort and very nice room. My kids very happy with all facilities. Location is center of Auckland and easy to go anywhere. I like to stay here when they have discounted prices. Plenty of parking. Very fast unlimited internet. Clean rooms. Restaurant with room service. Some noise from other rooms, and late night guests but not too bad. Location is fine if you have a car. 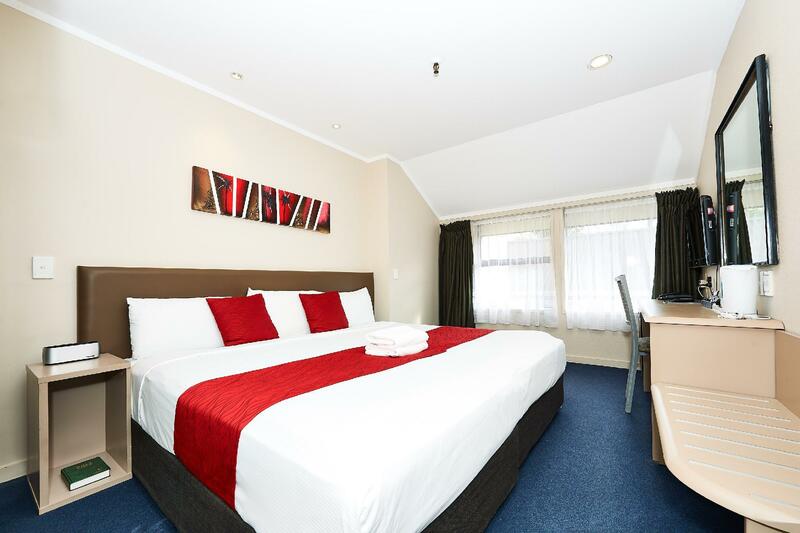 when I booking have specific need have a queen bed or bigger beds. but after check in is give me twin bed. after discussed will staff changed the room for me, then i understand, all is twin bed, even queen or king bed also use twin bed combined. the night is very cool, no warmer at bed. the heater is a bit far. furniture is old, some door hinges is spoil. it's not worth it. Booked this accommodation last minute at a discounted rate which was great because I would have been really annoyed if I had paid full-price. We stayed 2 nights and got woken up both nights by noisy neighbours down the hallway who obviously had an early morning flight. And I'm talking 1am-3am in the morning! The walls are paper thin so all you could hear was them walking (stomping) up and down the hall way, having loud conversations and slamming doors. Honestly the worst nights sleep I have ever experienced in a hotel/motel in my life. The shower tray plug didn't drain so you end up standing in ankle deep water which nearly overflows onto the floor if your in too long and the 2nd night there was no hot water at all!! The glasses in the room were also filthy and greasy and there was no spoon or anything to use for making your hot drinks, which was weird considering they supply jug, coffee and mugs. This hotel was immaculate. The staff was very kind and the food was excellent. Could not have expected more from our first night in New Zealand. Excellent value for the money! Hotel manager and reception staffs are super helpful and hardworking. Thanks them. Air conditioning is super which is not always available in Auckland. Sound proof is poor. U always be waken up during midnight because of banging of doors and noise outside. Thank you for choosing to stay with us Mei and for your feedback. If other guests are creating a disturbance please do let reception know and we will see to the situation. 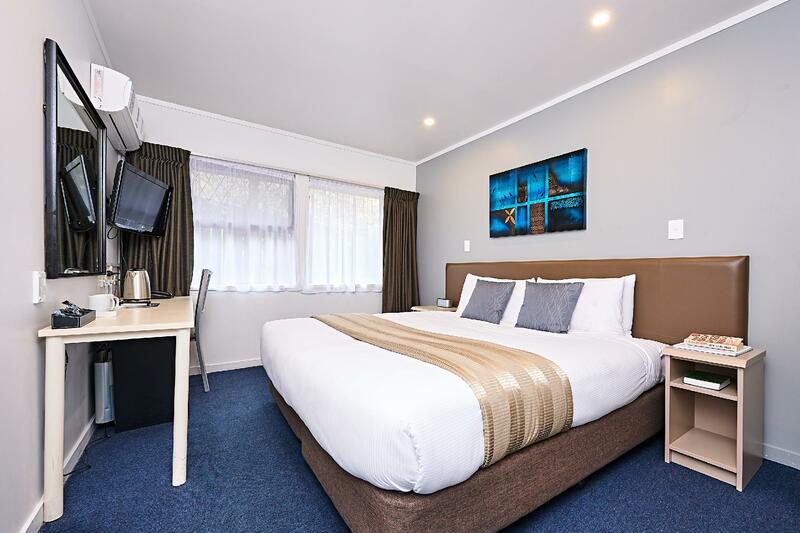 My daughter and I came up Auckland for the Sia concert and wanted something reasonably close to Mt Smart Stadium and not too great a distance to the airport.This motel suited us perfectly.I have to say the staff here were fantastic,very helpful,friendly and welcoming.Would definately recommend this motel to others. The reception staff who assisted our checked in was excellent!Room is good size,comfy bed and pillows!Good size bathroom/toilet!Our only concern are the lack of cleanliness and attentiveness with regards to ensuring that towels and toiletries are in the room! We had to request for it two times!Our bathroom sink was never clean because the file of hair is still there! Cups and teaspoons were never washed! The bed pillows and duvet cover/bed cover were never changed despite the fact that we booked our room for 5 days! So it was not so good! Pros: staff are really really nice. Lots of parking. Cons: they "upgraded" us to a studio that feels like a regular room so I wonder what the reg room looks like. Woke up from other tenants noise. Really old room, cupboard doesn't even have door. Not much space in the room for 2 big luggages. Thank you for staying with us Jaclyn and offering your feedback. You were upgraded to a larger room type however the unit you were in was not one of our most recent renovations. We will have the current stage of our room renovations completed in the next few weeks. I took the secret deal for $120 but was charged $140. It's not a four-star hotel. It's average in amenities. Room needs a paint-job. Not sound proofed, I could hear footsteps and people talking outside. We were next to the housekeeping storage area, so were disturbed by the noise. However, location of hotel is good and bathroom was newly renovated. Staff were friendly and welcoming. Room very clean except a little mould above the shower. Very comfortable bed. My to was up 2 flights of stairs but staff kindly offered to assist with baggage. Big negative was the walls are thin and can hear people in rooms next door and also floor boards creak a lot when people moving around the corridor and room next door. After having to return to reception twice because the bedding configuration in our room was wrong, I had to return to reception again because our keys didn't work. The receptionist looked at me and said "what's wrong now". When I said politely , I'm so sorry but our key cards won't work, she sighed and rolled her eyes and programmed them. The room was fine. The cleaning staff were great, although after we got settled the head housekeeper just randomly walked in. In all fairness she was very apologetic. Location was great. I am usually very easy to please but come on people, your reception makes the first impression and friendliness costs nothing.